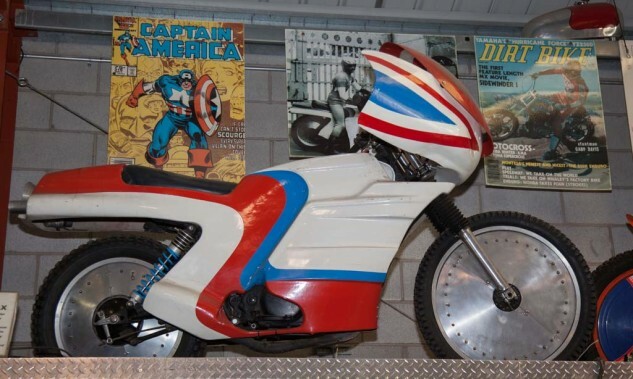 Davis’s “Captain America” series bike. In one scene he had to jump it off the room of Folsom Prison. In real life it’s a Yamaha TT 500 underneath.